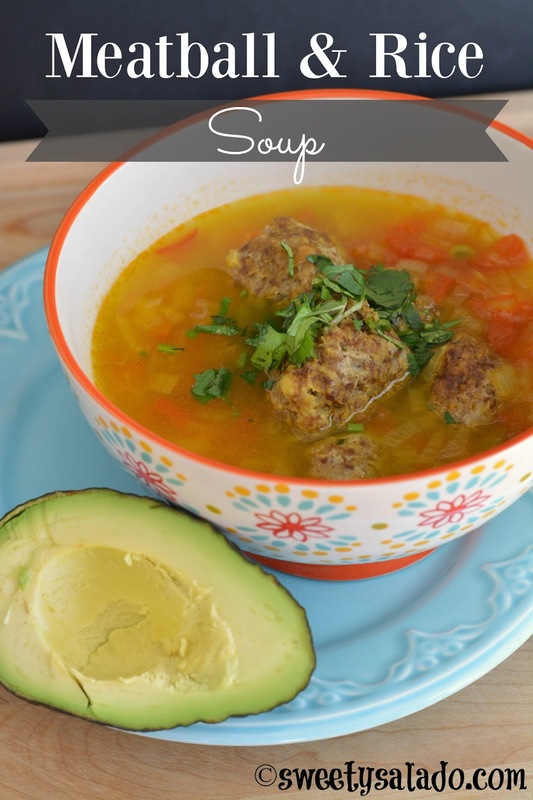 Colombia is a country of soups. We can eat soup for breakfast, lunch or dinner. Any time during the week or make it more special and elaborate to serve on the weekends. Did I ever tell you that my mom always served our soups with a banana on the side? It may sound strange but many Colombians, love it, which is something that my American friends think it’s beyond disgusting. Making today’s recipe is really simple, especially if you already have the meatballs ready. 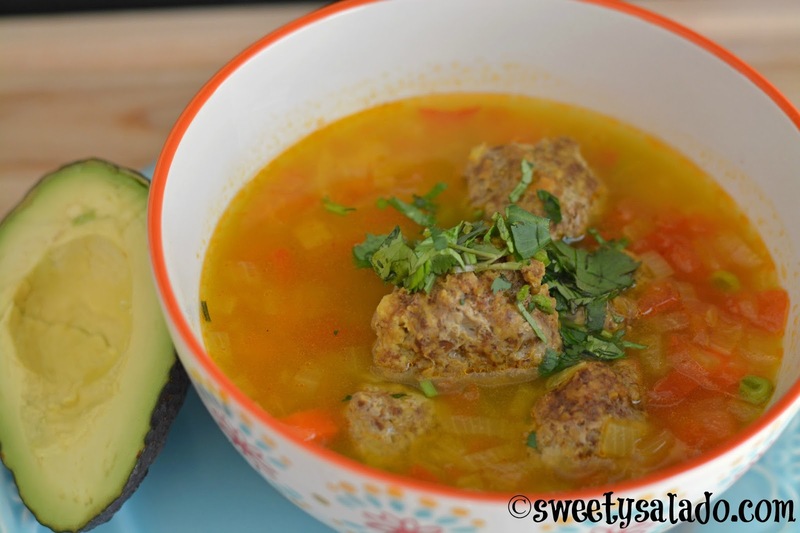 In my previous post I shared with you the recipe to make the meatballs that you can use to make this soup. I also keep them ready in the freezer just in case I get a craving for them, that way all I have to do is add them to the soup. Heat the olive oil in a large pot on medium heat. Add the chopped white onion and cook for about 3 minutes or until it's translucent. Then, add the green onion and chopped garlic and cook for 1-2 minutes. Now, add the chopped tomatoes and cook for 5-8 minutes or until they are soft. Pour in the water, add the beef bouillon, food color, ground cumin, salt and pepper to taste. Cover the pot and bring it to a boil on high heat. Once the water is boiling, add the chopped carrot, green peas, rice and meatballs. Cover the pot again and simmer on medium low heat for 20 minutes or until the rice is done. Check the seasoning and add more salt if needed. 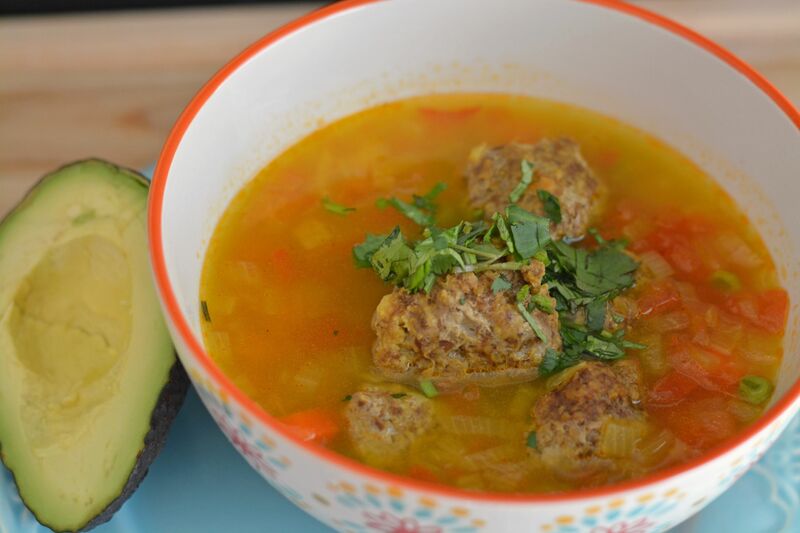 Serve immediately with chopped cilantro, white rice and a slice of avocado.